If you live an active lifestyle, opting for an automatic watch will be your best decision when planning to get a new watch. They are handy and convenient because it generates natural movements to wind the watch’s mainspring. If I have the time, I like to jog around my neighborhood to get a good exercise. It’s also a good way to give myself some much-needed peace of mind. A watch with automatic movement is my go-to watch when I plan to have outdoor activities. They can be a little expensive, though. 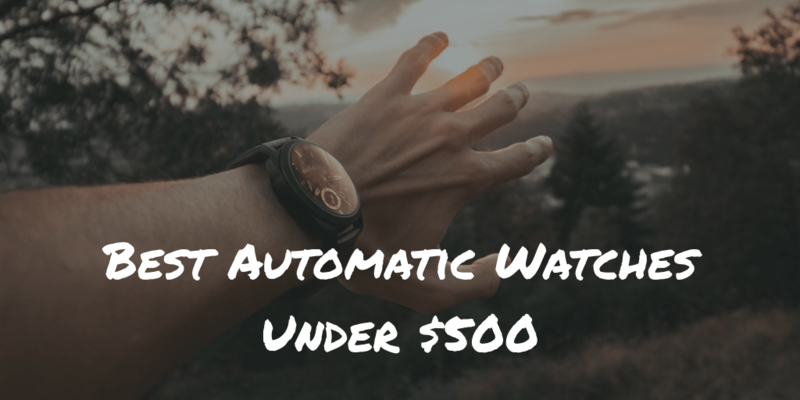 That’s why I gathered the best automatic watches under $500 to narrow down the choices in this watch review. Don't have time to read my whole review? 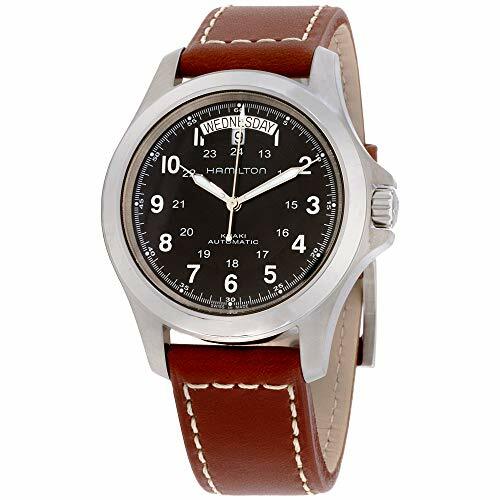 In my opinion, the Hamilton Khaki King is the finest timepiece you can buy in this price segment. 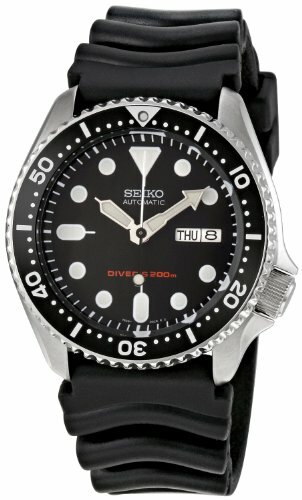 For dive watches, one of the finest automatic watches under $500 is Seiko's SKX007K. The fair price of this watch made all the complicated functions of a dive watch simple. The watch screams simplicity through its color scheme which is of its stainless steel and a black synthetic band. Its minimal design is perfect for any casual events. On its dial is a small window allocated for the date. It also offers water resistance up to 200 meters, so you can safely wear this if you plan a diving activity. Despite being styled simply, the functionality of the SKX007K is not forgotten. This watch is assembled so as to make it easily readable. Featuring Seiko’s LumiBrite technology, its markers have strong and bright light. This makes timekeeping in a dark area very possible. And if you’re worried about the watch’s protection, it has a sturdy Hardlex crystal that safeguards the entire dial. 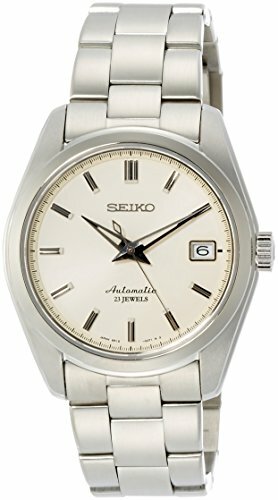 It seems like Seiko is on a roll here as one of the top watches under $500. Seiko features its very own SRP777 Prospex Automatic Movement Watch for diving. With its sporty appearance with a touch of class, you’ll be hooked. It’s one of the go-to watches for the sports enthusiasts and athletes. Its combination of stainless steel case and changeable rubber band makes its design simple. The black dial of the Automatic Dive watch is combined with markers for the time. It also has a tiny day/date window at the 3 o’clock mark. Perfect for the moderately-sized wrists, the SRP777 Prospex is your greatest companion when it comes to long trips. 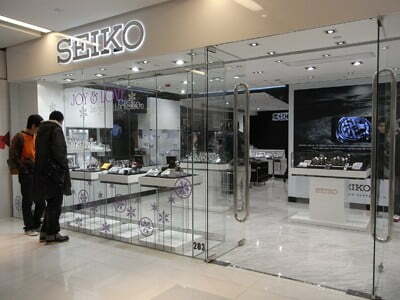 Just like the above-mentioned watch, it features Seiko’s LumiBrite technology and Hardlex crystal. 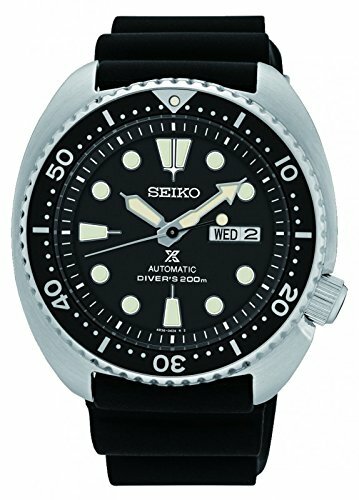 As a successor to the well-known Seiko 6309-7040 Dive watch, this guarantees top quality timekeeping. 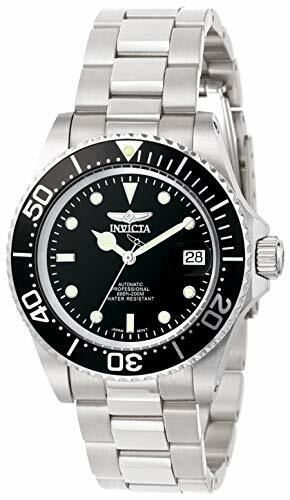 Aside from being water-resistant to 200 meters and its ISO 6425 certification which makes it very suitable for diving, this classic timepiece can also be worn on any occasions. All of these features make me realize one thing — this is not bad for a dive watch that’s under $500. 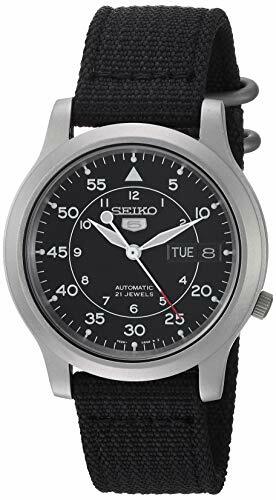 I feel like Seiko is taking over the world of automatic watches. The best dress watch around is still coming from them. The SARB017 Mechanical Alpinist Automatic watch is the front-runner and you’ll know why. 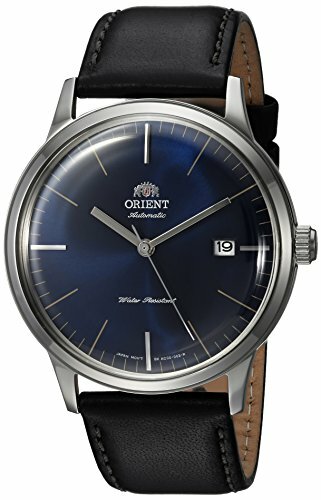 At first glance, you can already tell that this watch is worthy of your money because of its timeless style. This is perfect for special events and formal gatherings. A shade of green lined with golden markings represents the dial. Created at a moderate size with leather strap, everyone can easily wear this top timepiece. Featuring its 50-hour power reserve, you can use it for a long time. Surrounded by synthetic sapphire crystal, this watch has an interior bezel which you can also use as a compass. 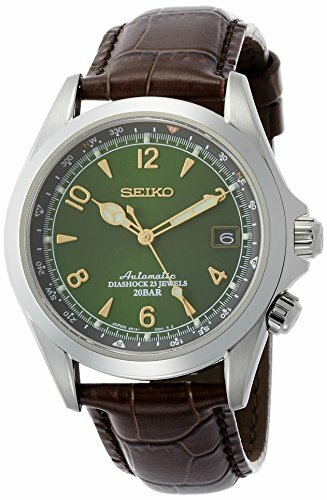 I think one of the likable features of the SARB017 Mechanical Alpinist is its unique design. Its color combination is attractive and well put together. Boasting its great design and features, you can wear the SARB017 Mechanical Alpinist automatic watch on almost any occasions and trips you desire. Seiko is at it again with its SARB035. This watch is a runner-up of the finest automatic watches under $500. 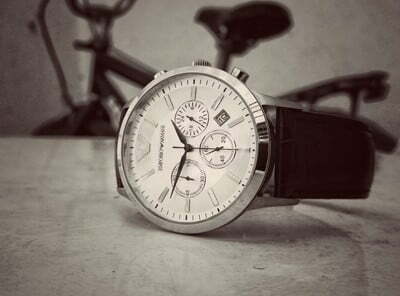 Flaunting its sleek and classy style, you’ll feel fancy wearing this timepiece without having to break the bank. Style your formal as well as casual attires with this watch. With its stainless steel exterior and creamy white dial, the SARB035 achieves an expensive-looking appearance. You can see that its back case have a transparent glass that allows you to have a good look at its inner accessories. The SARB035 is not only big on styles but also on functionality. It features the 6R15 caliber, a 23-jewel movement. This element is responsible for the accurate timekeeping of the watch. Its synthetic crystal makes it scratch-resistant. If you want to look posh and functional at the same time, this sumptuous dress watch will give you that. Known for its unique and historic timepieces, Hamilton creates Khaki King. Its rugged look and high-quality materials make it worthy of applause. Aside from its elegant appearance, this stainless steel watch also offers various features. A brown leather band with attractive stitching and its unique dial layout give out a striking and brilliant design. Made to last through rough adventures, the watch features a non-reflective sapphire crystal. The crystal is scratch-resistant, hence, capable of outdoor trip usage. Run by Swiss-made movement, the Khaki King is powered by the ETA Cal. 2834-2. It is a 25-jewel movement ensuring a high level of accuracy that still makes it operational even during long trips. It also features a 38-hour power reserve that guarantees you that you have enough power for the rainy days. It has a 50-meter resistance, and a day/date function located on the dial of the watch. Producing quality timepieces since 1939, Marathon exceeded our expectations with the WW194003. TRITIUM GAS TUBES: Self illuminating tritium gas tubes glow with no need to be charged by an external light source. 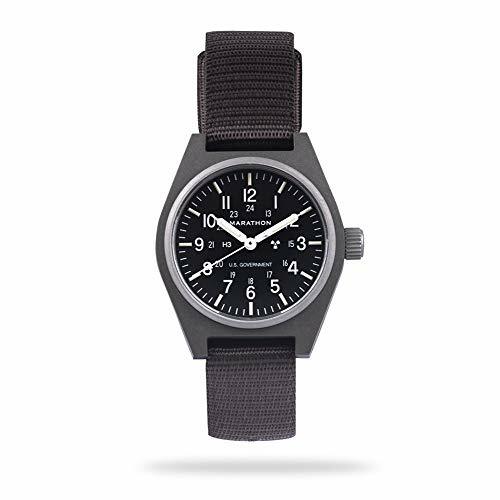 FIELD WATCH: Designed for general infantry. Features a lightweight high impact fibreshell case and sapphire crystal. Owning exceptional durability and functionality, the Hamilton WW194003 GPM field watch is definitely money-worthy. It has a small wristwatch size which makes the movement of your hands hassle-free. A strong sapphire crystal can also protect the dial. Its gray case is made of high-impact fiber shell which makes this highly tolerant for outdoor adventures. Featuring a 24-jewel movement from its NH35 caliber, the WW194003 provides an accurate reading. It uses a dual-winding movement making the watch accessible manually or automatically. Timekeeping is also made easy because of the tritium tubes that are at the hands of the watch (you can find the best tritium watches here). It doesn't come with a stainless steel case. These didn't make it into the main product round-up, but they're decent timepieces regardless! To the start the watch initially, swing from side to side in a horizontal arc about 30 seconds. Now that we’re done justifying, it’s time to get to know some factors when buying one. Along with the watch’s price, you need to make sure that you snagged the one of your choice. It’s not enough that you buy it from trusted manufacturers, though. There are also other considerations to take note before you lock up the deal. To make things easier, apart from automatic movement, there are four main factors to consider before purchasing an automated watch. Getting to know each factor after factor will lead you one step closer to your dream watch. Just like buying a piece of clothing, style is very important because it’s a reflection of your personality. 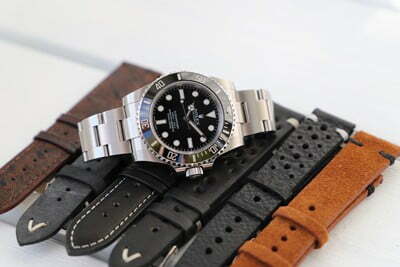 Your choice of style could also dictate the type of materials used in an automatic watch. Decide on whether you want a metal strap or the one made from leather. NATO straps are also available. After deciding what type you want, then you can check the color of the watch. Do you prefer a gold strap? A silvery stainless steel? Or a plain black leather band? Does it need to come with a stainless steel case? Choices, choices, choices. There are a lot of dial options to choose from. You also need to consider the placing or style of the date, secondhand sub-dials, chronographs, time zones, and so on. Choosing a specific dial may be critical, so you need to determine the purpose why you’re buying a watch. If you’re like most people, looking at the dial’s design is the dictator. Busy dial or something minimal? Determine if you want a busy dial with a lot of viewable functions, or something minimal. A chronograph (vou can find the best chronograph watches here) has three sub-dials, while a simple date complication keeps it light. If this is your first time buying a mechanical watch, it helps if you start with a minimal design. This means the watch displays a sleek style that is wearable for any occasions or events. However, if minimal pieces are not your type, opt for a more advanced one. Usually, this means a complicated with different visible physical properties. Obviously, this guide is for the best watches under $500. However, there are some that you can purchase for a low price but has the top quality you are looking for. Sometimes, price and quality go hand in hand. Know your money’s worth by knowing the quality of your potential watch first. There are many watches that are for $200 only. However, the question is "are they made to last long?" Once you've settled all the other factors, the last thing to think of is where to buy it. The best way to accomplish this is to purchase it straight from your chosen official physical store. If your chosen model is currently unavailable, try your luck on their official online store if they have one. However, if that resource is not available, check if the brand has authorized re-sellers near you. If you are planning to buy a vintage watch, the resale market will solve your dilemma. They sell vintage watches at an affordable price. However, keep an eye out on fake sellers as they are scattered everywhere. So, it’s really important to get to know the watch you’re hoping to get. Only buy from authorized and reputed sellers so you’ll know you’re in the safe zone. Different categories mean different watch specifications and features. 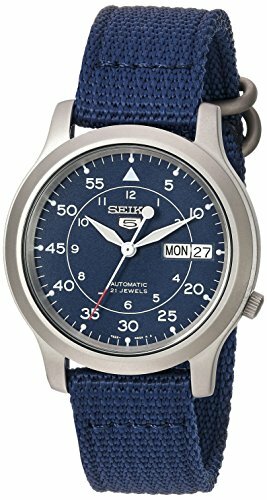 We have categorized the most excellent automatic watches under $500 on this watch review for different purposes. For a dive watch, it’s best to get a Seiko SKX007K. Its simplicity and versatility rolled into one will sweep you off your feet. Featuring the LumiBrite technology, this great watch has you back in dark situations. 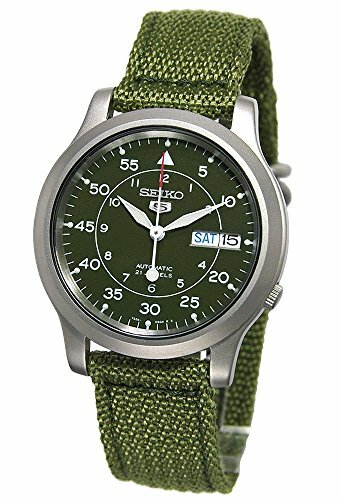 When it comes to Dress Watches, Seiko is still reliable with its SARB017 Mechanical Alpinist (if you like that watch, check out our Seiko 5 SNK809 review). It boasts off an elegant and classy appeal while still giving you the function you need. This watch has the right combination of class and functionality which is perfect for special occasions. Lastly, for field watches, the Hamilton Khaki King is a great choice. It owns a rugged look with excellent features that make it your potential best travel companion. It features a 25-jewel movement ensuring a high level of accuracy in timekeeping. Choosing the best military watch that passes your qualifications may be a long process, but it doesn’t need to be hard. Each watch is created differently and engineered for a specific purpose. However, it is still important to decide what features you desire and style you prefer. From there, allocate a budget before placing your purchase. You can easily spot the best automatic watches under $500 if you look at the right places. Links, prices and images pulled from Amazon Product Advertising API. Last update on 2019-04-17. Copyright © 2019 NanaDC.com. All rights reserved. Unauthorized use and/or duplication of this material without express and written permission from this blog’s author and/or owner is strictly prohibited. Excerpts and links may be used, provided that full and clear credit is given to NanaDC.com with appropriate and specific direction to the original content. NanaDC.com participates in the Amazon Services LLC Associates Program, an affiliate advertising program designed to provide a means for sites to earn advertising fees by advertising and linking to Amazon.com. Amazon and the Amazon logo are trademarks of Amazon.com, Inc. or its affiliates.